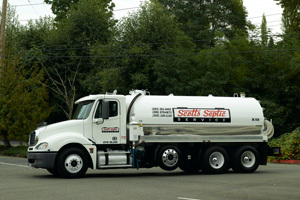 Scotts Septic Service is proud to offer our services 7 days a week to all over the South King County area. If you cant find where you tank or access lid is, or perhaps have landscaped over it and don’t want to tear up your hard work without knowing more specifically where it is, we have the solution for you. We bring a radio transmitter that we can flush down your drain, and into your tank. Once it lands, we can find it with a receiver and then locate the actual lid with a probe. We can do small excavation projects around the tank and sand filter for the purpose of repair and service, but do not do septic tank installation or design. We can however recommend people who can do this for you. 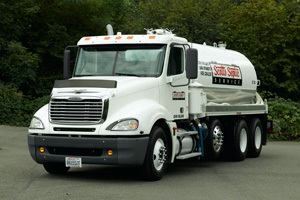 Scotts Septic Service is a family owned company that is not only owner operated, but is committed to providing service that is above and beyond our customers expectations. It's our customer service, in addition to our superior service that lets you know why we are your dependable choice for all your septic tank solutions. We are so sure that you will be blown away by the service you receive from start to finish with us. We don’t hesitate to say that when it comes to customer service and professional workmanship because we are the premier septic service company in the Northwest! Call 253-261-3453.